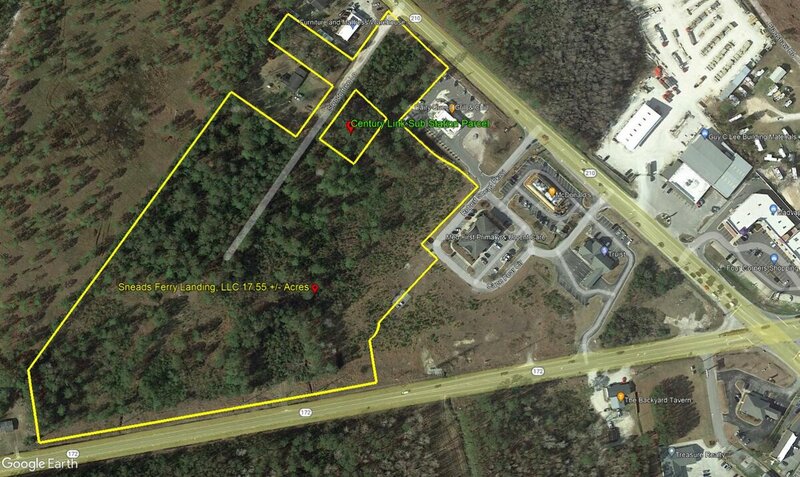 This highly visible 18.88 Acre Commercial development site has frontage on both NC 210 & 172 HWYs, located near the busy NC 210 & 172 HWYs intersections, in Sneads Ferry, NC. Municipal water & sewer available & the sewage pump station & its power backup have already been installed. The site would be ideal for Retail & Hospitality development. AADT Traffic counts are 18K for NC 210 & 7.4K for NC 172 Hwy. 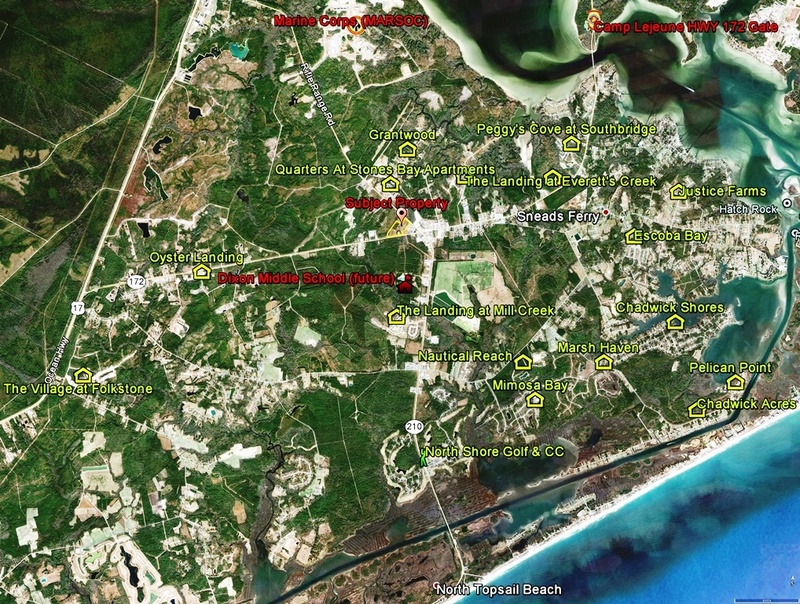 This site is located approximately 2 mi from the SE gate of the Marine Base Camp Lejeune, home to a population of approximately 130K people & just 1 mi from the only entrance to the newly constructed (MARSOC) complex. The site is also in close proximity to several residential developments, experiencing sales of over 830 newly constructed homes in the past four years. 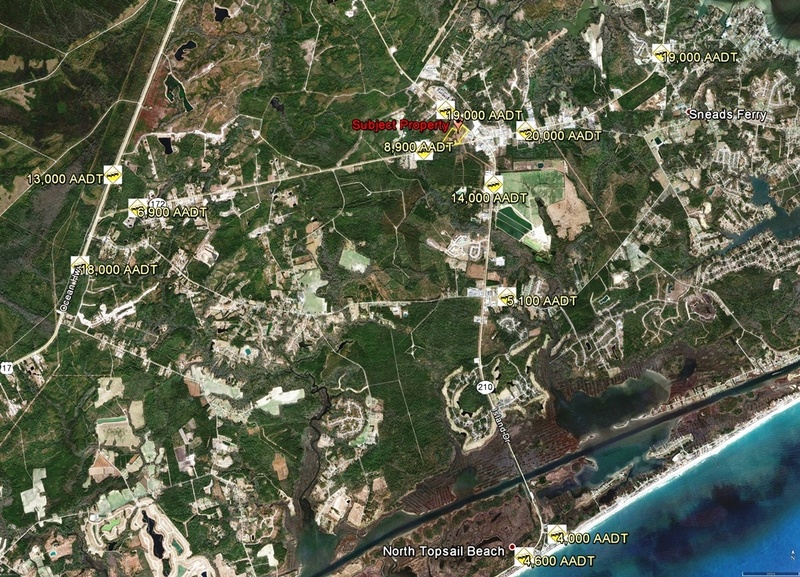 Snead's Ferry a coastal community is poised for a higher level of growth due to its convenient location, its popularity with retirees & its proximity to the nationally acclaimed Topsail Island beaches.